The Southern Dispersal, also called the Great Coastal Migration, was the first major migration Out of Africa. 50,000 – 100,000 years ago a single band of Homo Sapiens crossed the Bab-el Mandeb Straits to Asia. Over multiple generations their children migrated across the Indian Ocean coastline and until they reached Australia and beyond. Their direct descendants form the ancient populations of Oceania and Southeast Asia. Ice Age sea levels were 77 meters lower than today. Glaciers and pack ice trapped much of the world’s water and what are now shallow seas was then dry land. 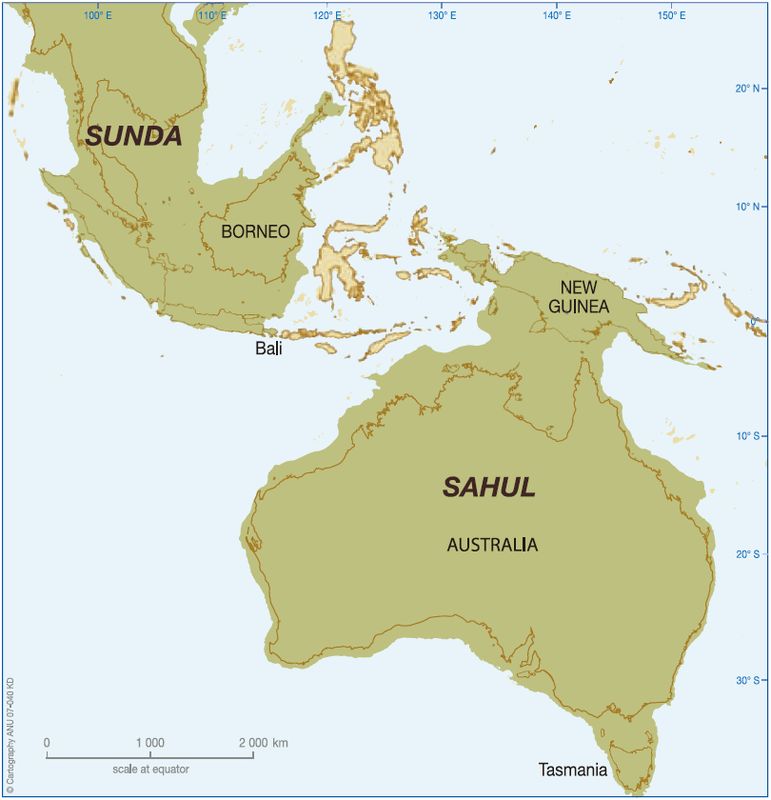 A land bridge closed the mouth of the Red Sea, Borneo, Java and Sumatra were joined to Indochina as the land of Sunda, and New Guinea and Australia formed a single continent called Sahul. Though foreign to Homo Sapiens, Europe was already home to other human species like Neanderthals, Homo Erectus and Denisovans. Archaeological sites and fossils give a rough idea of when Homo Sapiens were first living in a particular place. Why the coast? The pioneers of the Southern Dispersal were beachcombers. Deliberately avoiding the colder northern climes, they followed the coast where shellfish and tropical fruit were plentiful and there was no competition from Neanderthals. Due to the scant number of archaeological records, their numbers were likely small. The ancestral band who crossed the Red Sea like Moses was probably no more than 160 individuals. 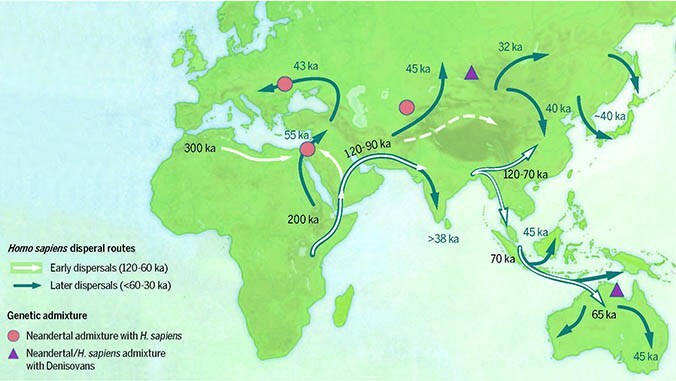 The later ‘Northern Dispersal’, which gave rise to the Eurasian peoples, either branched off early from the Southern Dispersal or was a later migration from Africa. They expanded north as the Ice caps melted. India: Andaman Islanders (Onge, Jarawa, Sentinelese), Dravidians? 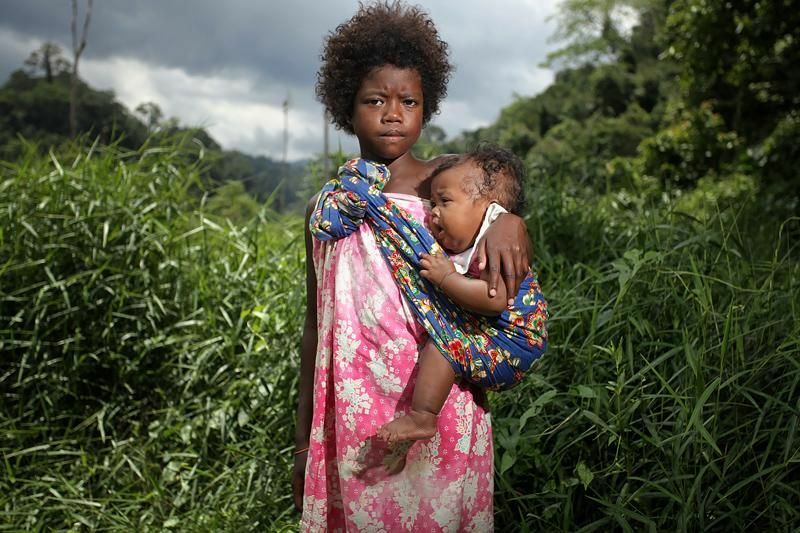 Children from the Solomon Islands. 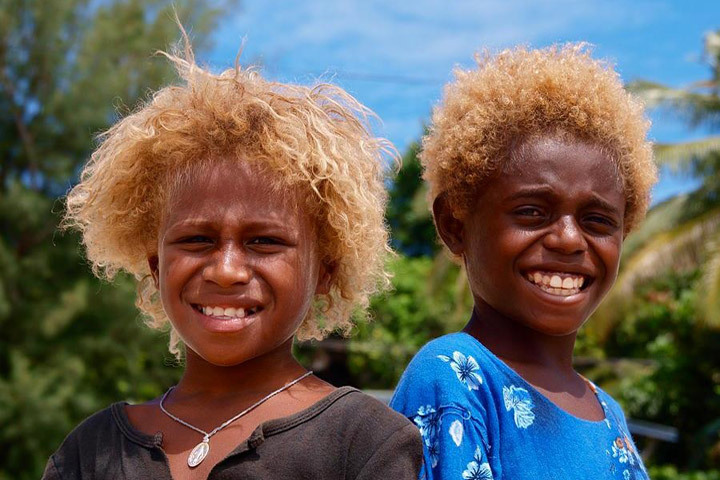 Blonde hair sometimes shows in children, though the associated gene is different from the European one. Though diverse in their own right, descendants of the Southern Dispersal stand out from later arrivals by their dark features and wooly hair (though not for Aborigines). Unlike most Eurasians, they maintained high levels of melanin because they never left the tropics. 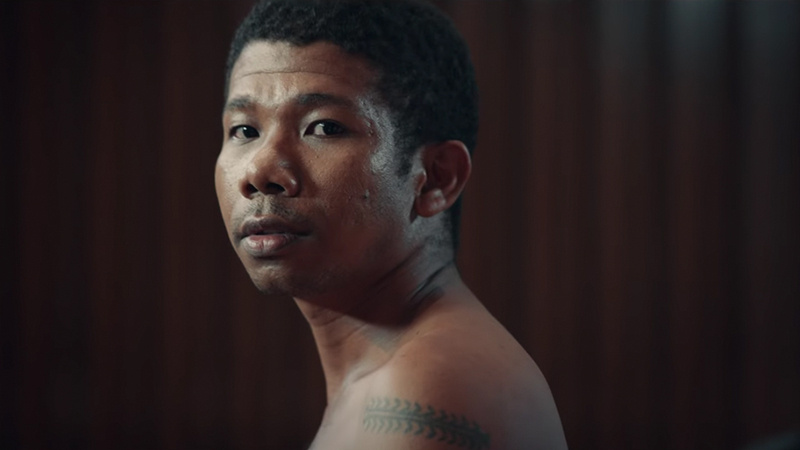 In Southeast Asia and the Andaman Islands they are called Negritos, owing to their black skin and short stature. 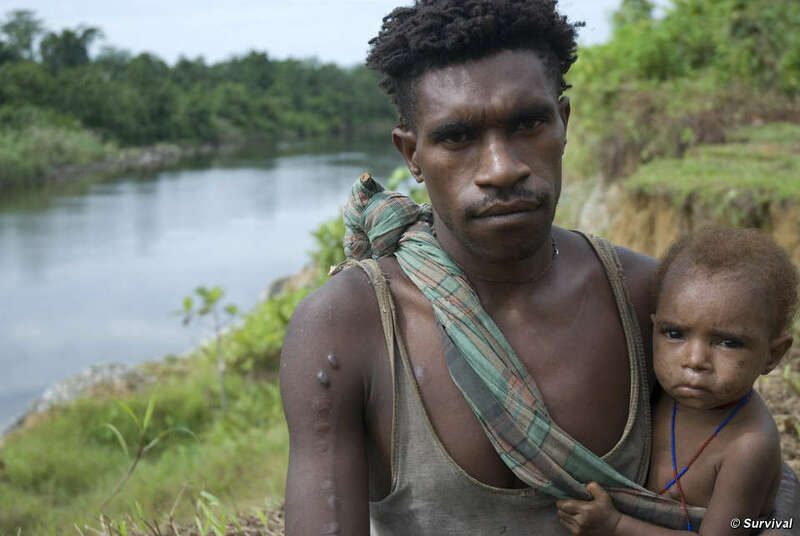 Rising sea levels and new migrations have forced them into isolation, where many still live as hunter-gatherers. Humans arrived in Sahul by boat. The migrants spread across the continent and hunted Australia’s megafauna to extinction. By the time outsiders arrived tens of thousands of years later, there were at least 600 distinct Aboriginal groups, each with their own language. 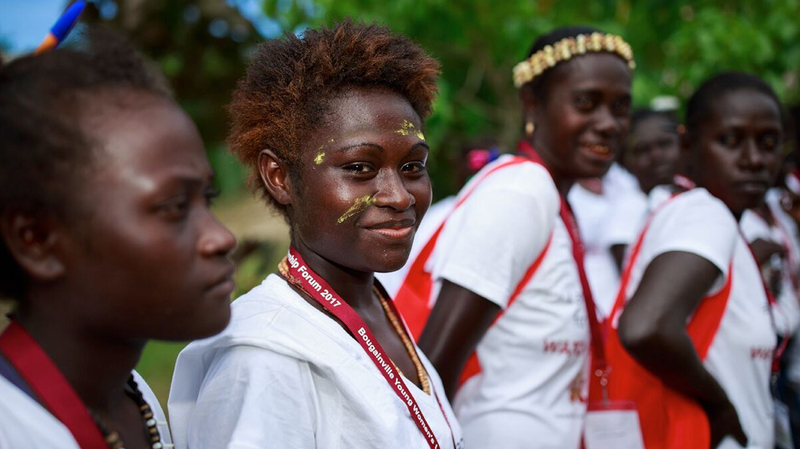 Despite being only 1.5% of the world’s population, Melanesia is home to 20% of its languages. Like all non-Africans, ‘Australo-Melanesians’ have 1% Neanderthal ancestry (though less than Europeans). Unique to them however, is the 4-5% DNA they inherit from another species – the mysterious Denisovans. Interbreeding must have occurred in Southeast Asia, as the Andamanese lack Denisovan admixture. Aside from genetics, all the Denisovans have left us is a fingerbone and a skull. This entry was posted in anthropology, history and tagged aborigines, andamanese, denisovans, hunter gatherers, ice age, melanesia, migrations, negritos, out of africa, Southeast Asia, southern dispersal by Para. Bookmark the permalink.